It doesn't seem like Fallout 76 will ever catch a break, as even something as simple as patching out an exploit to stop item duplication is just a precursor to another shoe dropping. From a story posted by Eurogamer, it appears that there are other ways to get items in the game: by finding the secret developer room and just taking them from their infinite supply. Developer rooms are usually spaces within a game where the developers can test various things or store objects not in use. It basically provides a scalable space to experiment while making the game. 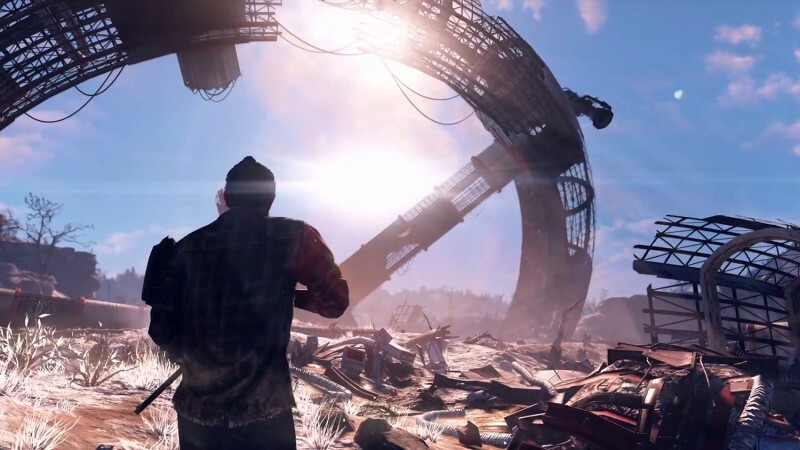 A few days ago, people began to whisper about its existence in Fallout 76 on Reddit, with more and more people searching for it. When people eventually got there, they found every blueprint in the game and a single human NPC, the only one in the entire world of Fallout 76, standing there. It's literally the plot of Indiana Jones and the Last Crusade. Perhaps most interestingly, the room contains locked away skins that were only available for preorders or expensive prices and also future content that Bethesda has yet to announce. It's actually a super secret room that Bethesda does not want you get into, to the point where they're willing to ban accounts that have been flagged as entering the room. You might say they chose poorly. Bethesda is allegedly sending emails asking people who entered the room how they got access and suspending their accounts until they respond. The veracity of these emails cannot be confirmed, but players on the game's subreddit are claiming to have received it. If you want to check out the room without risking a ban yourself, check out this video user PolterGeist uploaded showing it off. Fallout 76 is currently available for PlayStation 4, Xbox One, and PC. You can find our review of the game right here.